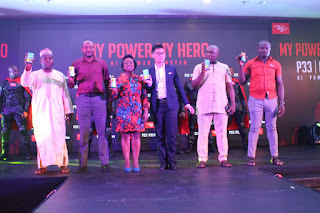 Lagos, Nigeria, March 25th, 2019- itel Mobile, Africa's foremost customer-centric brand that provides budget-friendly and high-quality smartphones for everyone, has today unveiled a significant upgrade to its existing super Max-power flagship series – the itel P33 and itel P33 plus, in a heroic themed launch event in Lagos. In line with itel's commitment to pushing the boundaries of smartphone innovation and design, itel P33 combines a 4000mAh battery with a futuristic AI Power Master and ultra battery endurance that offers an exceptional value of long-lasting battery designed to last 80 hours on a single charge. P33 Plus comes with 5000mAh big battery for 100 hours normal usage. The Artificial Intelligence technology in the P33 series makes the device smarter and helps control its power consumption in many scenarios automatically without bothering the users. 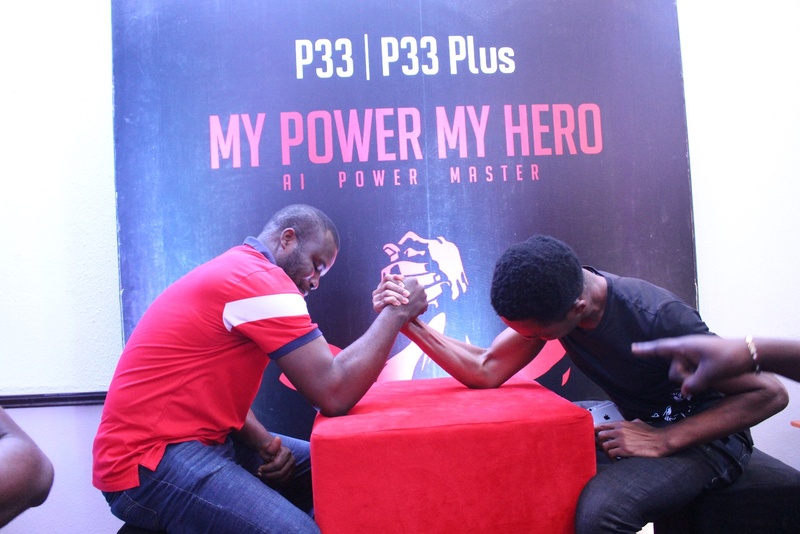 The itel P33 is a pivotal landmark in itel's P-series lineup, as it is the first itel smartphone to debut with a 16GB ROM and supports an expandable microSD card up to 32GB. It also spots a multi-functional fingerprint sensor and a face unlock system for easy and secure access to the phone. To create a unique user experience, itel has integrated the P33 to be more innovative with a unique customized interface of UI 3.0, 5.5" HD+ IPS FullScreen, 8MP dual rear camera, new trendy color (Blue) amongst others. For P33 Plus, it comes with 6.0" IPS FullScreen display and a fashionable gradation blue color. "With the newly unveiled itel P33 and P33 Plus, itel Mobile is reiterating its commitment to providing best-in-class smartphones for everyone that offers more value with cutting-edge technology, features, and style but at a verybudget-friendly price. The itel P33 is extending the reputation of an exceptional value proposition, and we are confident, this device will not just raise the bar but will satisfy our consumer's need of a long-lasting battery to the fullest." 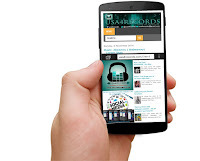 The technology breakthrough in itel P33 series shows itel's continued advancement towards its goal to be among the top three mobile brands globally and thus, is significant progress for the brand.